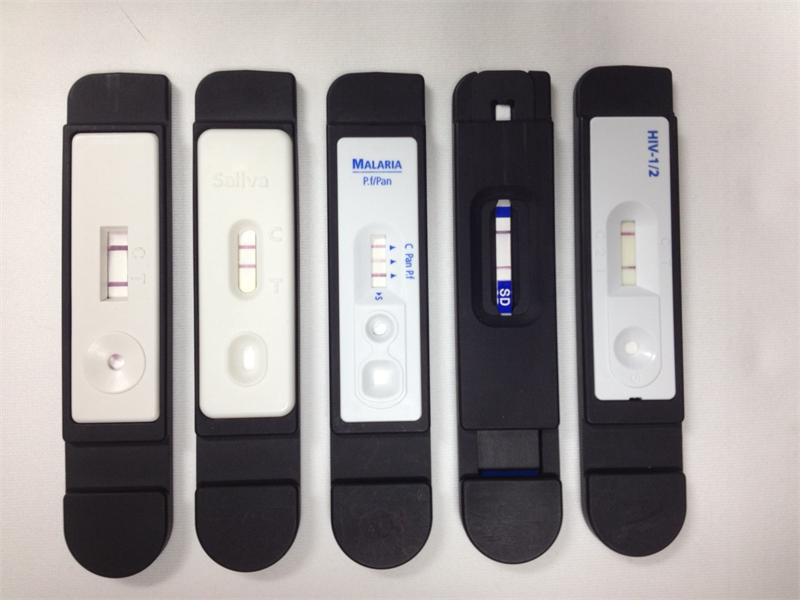 In addition to the rapid test strips or cassette giving qualitative result, Creative Diagnostics also provides a series of immunoassay readers. The test readers now are able to give qualitative, semi-quantitative or quantitative results with high sensitivity, reproducibility and stability. By turning almost any smartphone into a mobile test reader, RIFTM custom software means you can test in any location and send qualitative or quantitative results straight to another phone or device to share the data with healthcare providers all over the world. The software can be customized to create a reading and reporting system specific to your needs. CD-DIATM Immunoassay Reader is a bench-top assay plate reader with multiplexing capabilities. It can be used as a universal reader for tests of all formats and sizes and at prices that compete with similar bench top instruments in the market. The test reader now gives very sensitive, highly reproducible, qualitative, or semi-quantitative or quantitative results. This device delivers reliable performance with high stability.